Skiers heading to Europe in the car this year may find they can avoid a motor insurance claim by paying heed to advice from TyreSafe. The organisation said it is vital motorists check their tyres before leaving for resorts where the weather may make driving conditions hazardous. 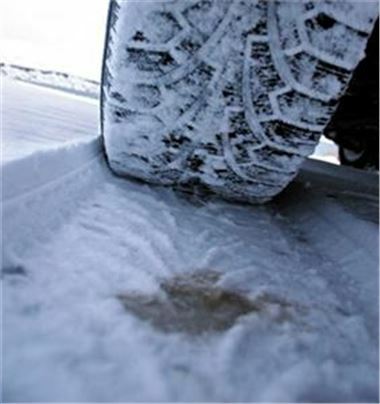 It explained having sufficient tread depth and correctly inflated tyres can ensure a car retains as much grip as possible on icy roads. Chairman Rob Beddis stated: "Driving in snowy mountain regions requires a good level of tread depth to maintain traction with the road and stay in control of the vehicle." He also highlighted the fact a vehicle loaded up with mounds of heavy ski equipment may need higher tyre pressure than under normal circumstances to support the increased weight. Earlier this winter, TyreSafe suggested drivers may benefit from switching to cold weather tyres in months where temperatures are likely to drop below freezing.